Dosis: 4 bis 6 gram. Effecten dauern 4 bis 6 stunden. 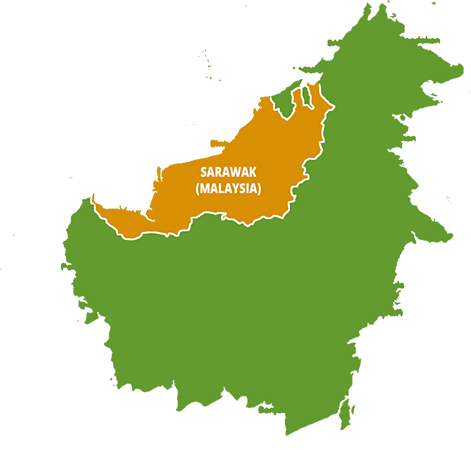 Unsere Red Thai kratom kommt auch nicht aus Thailand aber wirdt geerntet in Kalmantan neven die Grenze mit Sarawak. Red Thai (Maeng Da) hat eine starke Wirkung, ein bisschen anders als die andere Red Vein Arten. Red Thai ist sehr beruhigend, aber hat auch einige stimulierende Effekte in seinem Spektrum von Effecten. Vor allem, wenn Sie eine leichte Dosierung verwenden (4 -5 Gramm), dann können Sie einen leichten energetischen Gefühl erleben, während zur gleichen Zeit, Sie sich entspannt fühlen. Wenn Sie höhere Dosen nehmen (7 Gramm oder mehr) dann werden die beruhigende Effekte wahrscheinlich vorrherschen. Red Thai ist auch für seine analgetische Wirkung bekannt und dieser Effekt ist stärker bei etwas höheren Dosen. Die effecte dauern etwa 5 Stunden (zwischen 4 und 6 Stunden). Red Thai ist eine gute Wahl, wenn Sie einen entspannten und ruhigen Abend mit Ihrem Partner oder allein haben wollen. Red Thai kann auch gut sein für Menschen die Schwierigkeiten haben sich zu entspannen (chill out). Niedrigere Dosen können wie oben erwähnt auch Energie liefern. 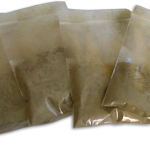 Das ist die Grund das es Leute gibt die Red Thai verwenden Kratom bevor sie zur Arbeit gehen (Es gibt Leute die ein bisschen hyper werden wenn sie white vein oder green vein kratom gebrauchen). Menschen, die von chronischen Schmerzen leiden (zB Arthritis) können auch von die Effecte von Red Thai profitieren. Red Thai kann auch Menschen mit Schlafproblemen helfen. Perfect for a relaxing evening with friends, or to unwind from a long day at work. Really euphoric at the proper dosage. Red thai was great from this site! I have felt really pleasant burning it in any situation. Clear mind, happy thoughts and balanced energy levels. Would definitely buy again. Fast shipping too! I use different strains for different purposes. The Red Thai is great for relaxing with some music and I also feel quite euphoric when I use it. I take one teaspoon and mix it with orange juice or a smoothie and I just sit on my couch, put on some progressive psytrance and tune out. The best Red Thai I’ve had so far. Also a good pain reliever, pain from an old injury is completely gone after using this strain. My mom even uses it now for her arthrosis. Very fast shipping. 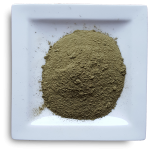 Its my first Kratom and i think i get a good strong one. I write E-mails and get very fast all i want to know. I will buy again, very nice! Sehr angenehmes und entspannendes Kratom. Am bestens für abends geeignet. Sehr schönes, ruhiges Rot ohne Nebenwirkungen. Perfekt zum Entspannen. Good mellow and anxiolytics effects, the analgesia to pain relief can be feel with this strain too, not so much like red vein borneo in this aspect but it’s pretty good. Liked it, recommended! I ordered a sample pack for the first time in this site and the transaction was flawless. Anyway I highly recommend this strain for a strong calming effect without any side effect ! 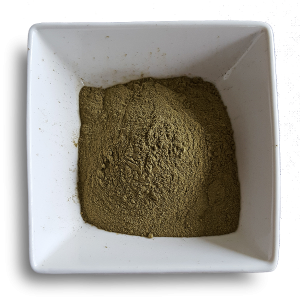 This is an excellent kratom strain & the quality from this vendor is top notch. However unllike the previous two reviewers I have found this to be one of the more energising reds, and actually quite good if you’ve got to get a load of physical stuff done, although as always with any kratom the larger the dose the more soporiphic its qualities tend to become. Generally with this one though i have found a 4-5 Gr dose keeps me rockin for at least 4 hours & combines that with a nice mellow feeling also. This is probably one of the stronger reds along with Red Borneo. Very good – recommended. this one’s my favorite in the evening, it’s very sedating with a feeling quite similar to morphine. great for killing bone and muscle pain too! 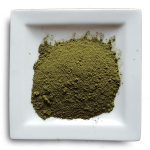 organic kratom is also the only kratom I don’t get any stomach ache from. Love this one for sleeping. I just get so relaxed and tired,and easily fall into deep sleep. This is one of the bests red kratom for sleep.